First developed and marketed in the 1960s in the form of sodium fluoride (Duraphat, Colgate, New York, N.Y.) and in the 1970s in the form of silane fluoride (Fluor Protector, Ivoclar Vivadent, Lichtenstein, Germany), fluoride varnishes prolong contact between fluoride and enamel. The effectiveness, ease of application and relative safety of these products offer significant advantages over other topical fluoride treatments, such as gels and rinses. Several reviews of the use of fluoride therapies in preventing dental caries have been published since the year 2000, including 2 evidence-based reports. The Cochrane reviews of this topic concluded that “Fluoride varnishes applied professionally two to four times a year would substantially reduce tooth decay in children. 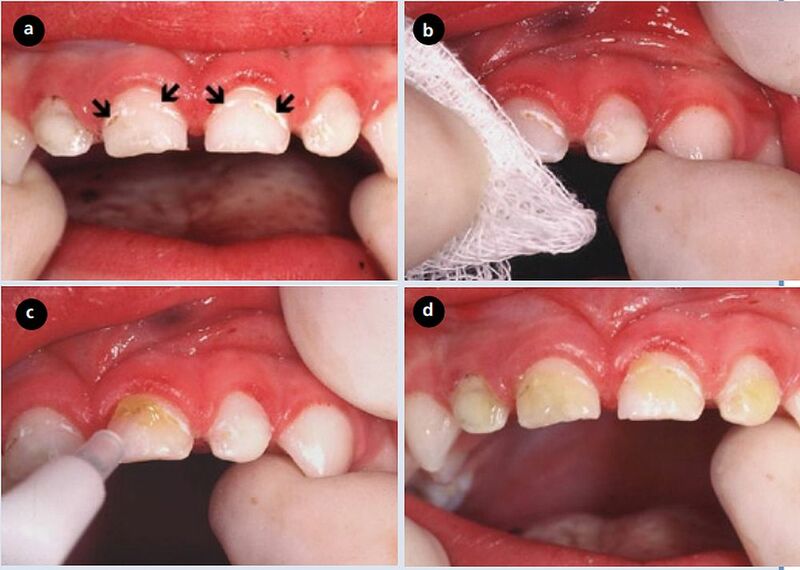 The Community Dental Health Services Research Unit of the University of Toronto18 concluded that “Both APF [acidulated phosphate fluoride] gel and fluoride varnish are efficacious and can be recommended.